I finally saw Avatar (in 3D IMAX no less). I realize I missed this train by a little, as Alice in Wonderland has done a job of pushing Avatar out of most of the 3D theaters by now. Nonetheless, I wanted to write out my thoughts on this remarkable experience. 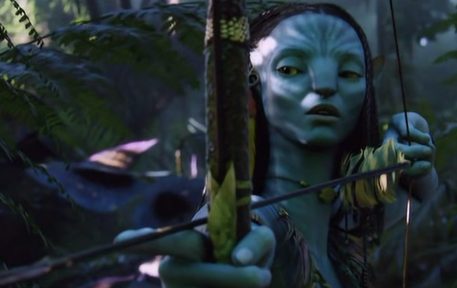 I am really struggling to recruit words suitable to describe “the experience” of Avatar in 3D. In place of any poetic inspiration let me simply state that it was utterly the most immersive sub-reality I have every lost myself in. I have heard many people arguing that the 3D did little to enhance the movie, but I could not disagree more. I am a regular to the movies and I am not ashamed to admit that I can get lost in a good story – I can relate to some characters, and even respond to events emotionally. But I have never forgotten that I was watching a movie (cliché sentiment notwithstanding), no matter how drawn I was to the story. When the credits began to scroll after Avatar, it was actually jolting and disorienting when I realized where I was and how long I had been there. In examining my memories of the movie, I find that my mind has attached a huge number of senses, emotions, and details to the images — a level of perception that I associate with real life memories, but a level far beyond the internalization any past movie has invoked. I am not sure exactly why this was the case, but I do think it was largely the 3D. I mean, there were scenes where I felt inescapably within the frame, for instance scenes in the forest where you can see (and almost feel) the bugs flying right around you (as well as around the characters). Scenes where the trees and the animals seemed so real and familiar (however alien) that they pull you in. Many very simple scenes where just the basic existence of actual space and distance was so strikingly familiar with real-life, and simultaneously so foreign to “the movies”, that everything was reversed. Much like Jake, for three hours the real world was through my polarized glasses, and the other world was just a dream. Loved them all. Clearly this was not the most original movie as far as the conflict and resolution is concerned. It reeks of Dances with Wolves, among others. However the unique context that the story was recast into, and the very relatable journey we observe makes the plot largely rewarding. I was also very happy to find none of the key junctions were predictable. There were several climactic moments where my heart was pounding fit to burst with anticipation, and I could fully expect any number of things to happen next. Some of these moments were very touching and even frightening. The science in the movie is covered just shallow enough to be ostensibly complete, which I think does a great service to the experience. Many sci-fi movies get lost trying to justify and reason how they accomplish certain feats, when they don’t need to. It is enough for us to know that the brain patterns of the Avatars are linked to the humans… it would have only slowed the story if we had to go into how any of it worked. The mystery also helped us relate to the main character, Jake Sully, who himself is not a scientist and likely unfamiliar with the inner workings of the technology. In this way, as well as in our first experience with 3D, we get to explore the same sensations of realism and discovery that Jake is experiencing in the movie. I found the Na’vi (and in particular Neytiri) very engaging, and very powerful. Their faith and spirituality is easily envied, as is their strong camaraderie and precise harmony with their surroundings and their purpose. 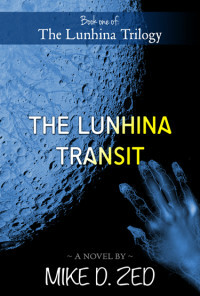 They were entirely believable, and entirely relatable, despite the heavy physical differences between them and humans. The human characters were perhaps a little less relatable… in particular Colonel Quaritch. I did see a trace of regret in Parker Selfridge (the RDP administrator), making him feel human, albeit of an unpleasant cast. But to the contrary, Colonel Quaritch seemed evil beyond the reasonable scope of his character, to the point that his cynical analogy to Cameron’s view of humanity was overly apparent. None the less, the overall effect was excellent. Being a student of 3D myself, I was blown away by the realism of the CG characters. The textures, the lighting, the mastery of the skinning / rigging was unbelievable. The Na’vi’s eyes are deep and engaging, and their skin reveals every detail of reality, right down to the freckles and blood vesicles. Mixed with the beautiful landscape and inspired flora, fauna, and wildlife, I was completely awed throughout the movie. One of the final scenes in particular caught my eye. Just stunning. Here we have a human being propped up by a CG character… they two are touching, and on each of them you can see their shadows interacting. Even on Jake’s mask, you can see the reflection of his hand touching Neytiri. On closer inspection of the animation, you can see Neytiri’s skin deforming exactly as you would expect under Jake’s pressure… this is revolutionary all around. The movie was all around inspiring, deeply touching, and wonderfully presented. Like many, I feel a strange pull to return the world I was a part of for a few short hours. The experience was so real and wonderful, it has left me craving more. For now I await the BlueRay (which incidentally should be here in a week), but I know that without the 3D it will not be the same as it was before. I am keeping my fingers crossed for a fall re-screening, which the rumors suggest is in the pipeline.